Daum Communications Inc., No.2 search engine portal website of Korea, has something in common with Yahoo! Inc of U.S. Once dominated the market, now it stays in the 2nd place due to the successful challenger Naver Inc. and is striving to reclaim the top spot. Recently merged with KakaoTalk Inc., Whatsapp of Korea, Daum will now compete more directly with Naver Inc., and whether Daum’s experimental gamble will work out well depends wholly on the entrepreneurs of each corporations. Daum has been moving its headquarters to the Jeju Island(interestingly), unlike other companies struggling to stay inside the Seoul. Built in 2012, Daum Spacedot1 is the stepping stone of such experiment. Building of the Daum Space.1. Image Courtesy of Daum. Daum Spacedot1 Building on a rainy day. I came to Daum Inc. to watch the Baram Acoustic Concert being held inside the Daum Building. 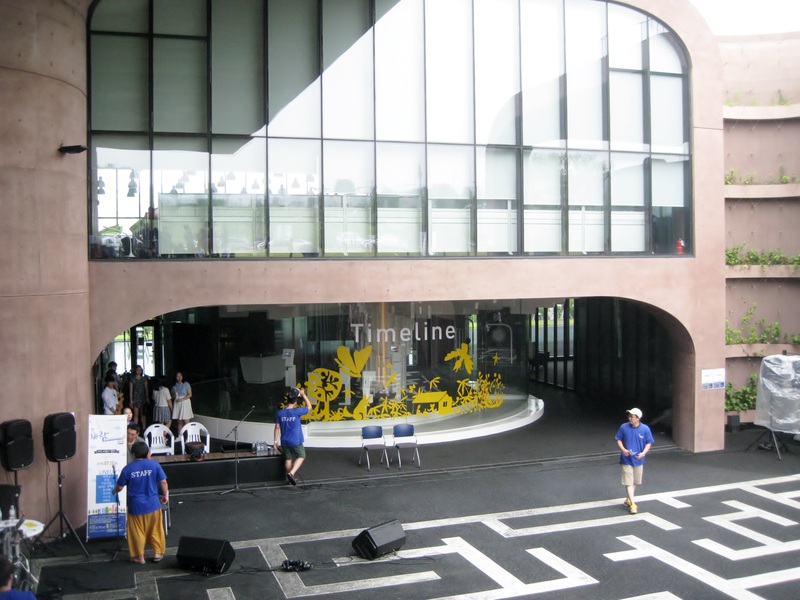 This concert was a experimental concert being held by the members of the Start-Ups of Jeju Island. This was a second concert in consecutive series of concerts being held every month. 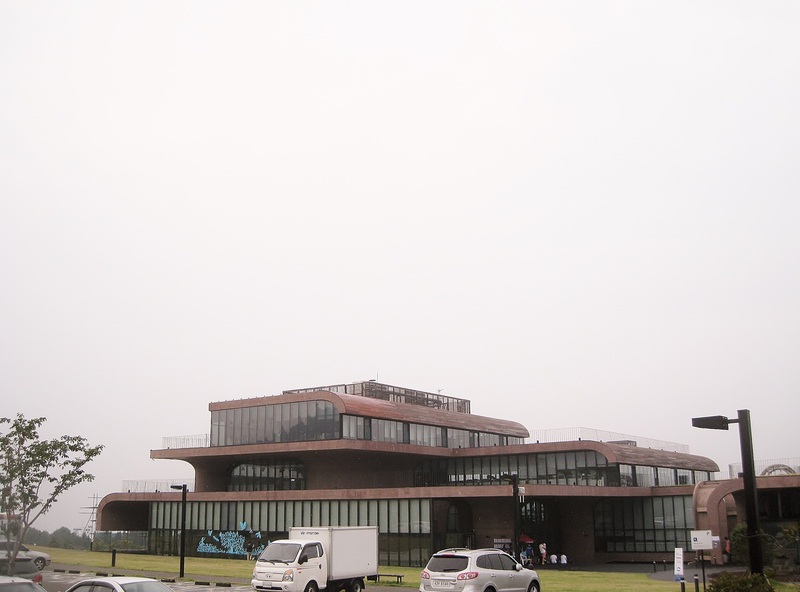 Daum Inc. Building is located near Jeju Nat’l Univ. No buses arrive there, so one should take a taxi from the Cityhall to get here. Visit here later after the construction finishes. Series of buildings will be built soon. Daum Space.2 was built this year and Daum Space.3 will soon be under construction. I recommend those who want to visit this place to come later after all three of the buildings are built. I will let the blog visitors know when the constructions finish up.